I’ve been having a lot of conversations regarding this lately. I’ve heard stories about people cooking tomato sauce for 8-12 hours. It doesn’t have to take that long to develop flavor and have a delicious sauce that you can use for a variety of things. 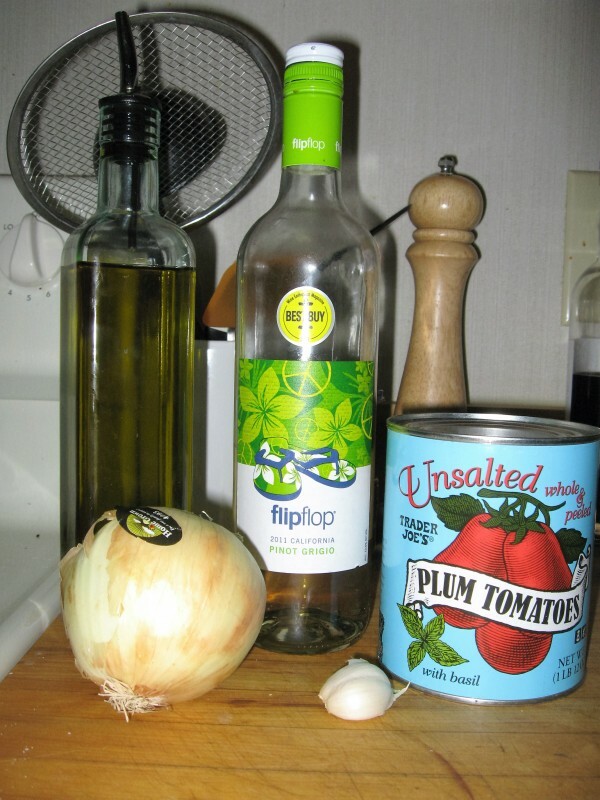 At my Italian Comfort Foods cooking classes, I whip together this sauce at the beginning, and it bubbles in the background while we start something else. It’s ready before we know it, and everyone who tastes it loves it. If you like this recipe and would like to contribute to future recipe development, visit my Paypal link. 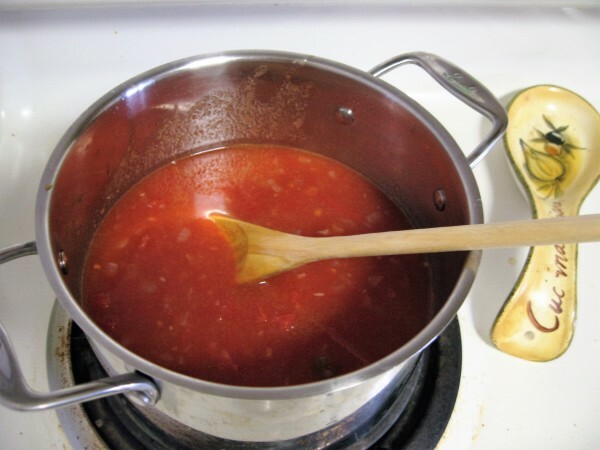 Everyone has their own way to do it, and there are a lot of ways to get a great sauce, but this is my quick way to get a great all purpose tomato sauce that can be used for pasta, pizza, and in pretty much every “alla parmigiana” dish. Empty can of tomatoes into a large bowl. Use your hands to crush tomatoes. 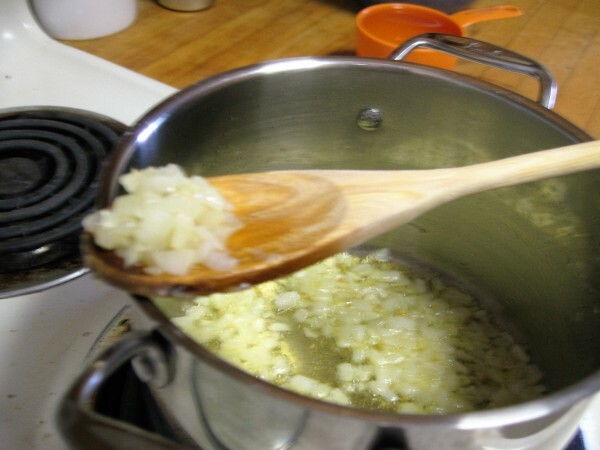 Heat 2 tablespoons of olive oil in a pot and saute onions and garlic over medium heat. for 8-10 minutes. Add the wine, increase the heat, and reduce by half. 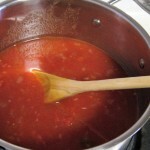 Add tomatoes, a little more than half a cup of water, and a teaspoon of sugar (optional). Bring to a boil, then reduce the heat to medium-low and simmer for 20-30 minutes. Add salt and any herbs you like to taste. Over the course of the cooking, you’ll notice the tomatoes go from having a purple hue to becoming bright red or orange. That’s your visual indicator that you have tomato sauce. If I’m using the sauce for pizza, I’ll reduce the amount of water I add (or cook it for an extra 10 minutes to reduce) to get a thicker sauce.